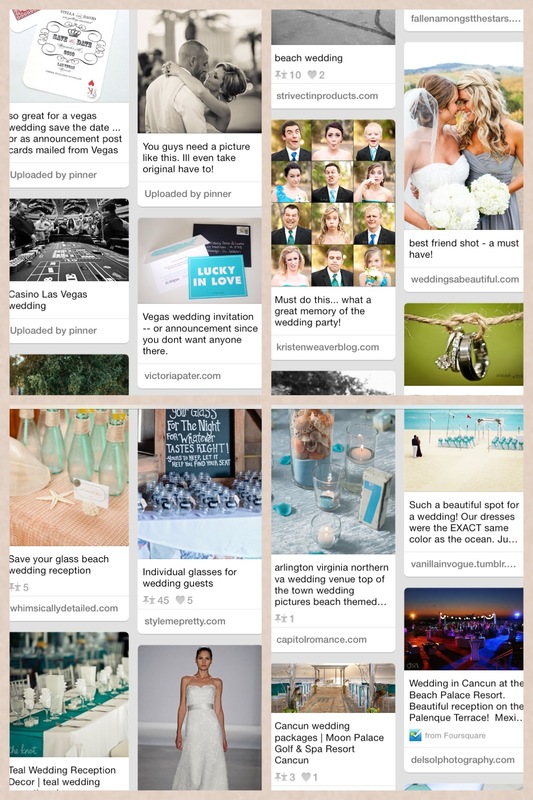 When I got engaged in November 2012, the first thing I did (okay maybe like… the third thing) was start a ‘Wedding Inspiration’ board on Pinterest. Let me be clear, prior to getting engaged, I had no real desire to use Pinterest. Seriously. None. I had friends who were literally losing hours of their day pinning and I just didn’t get it. I didn’t have the time to sit there and pin recipes, workouts and wardrobe ideas. I just didn’t. I worked full-time, I taught riding lessons on the weekends and my photography business was growing. I didn’t have any extra time. And when I did, I was reading. But suddenly, with a new sparkly on my finger, it was like an extra 2 hours was added to each and every day, strictly for Pinterest*. I couldn’t get enough. I suddenly discovered how easy it was to, literally, plan my entire wedding on this site. 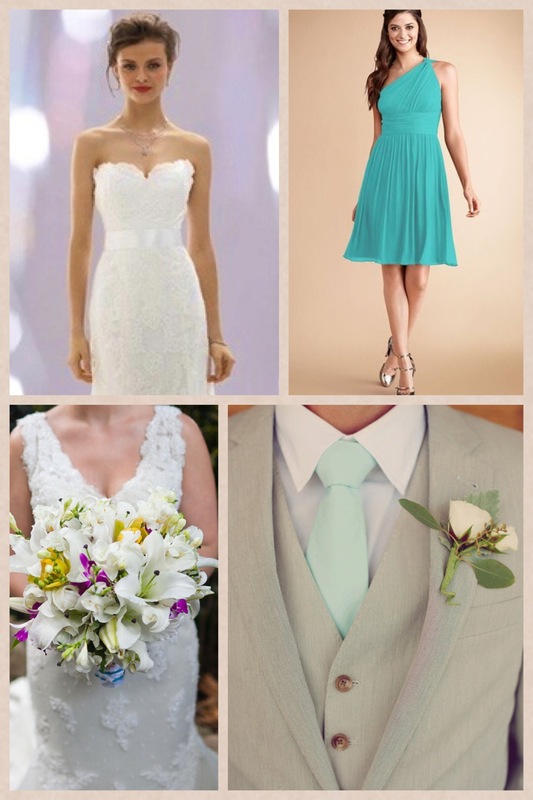 I could determine my color scheme, my flowers, my bridesmaid dress, my wedding dress, my ceremony location and reception venue, even my food choices! I even could find centerpieces, decoration ideas, wedding favors, groom’s attire, wedding hairstyles and makeup and so on. I could literally have my entire wedding planned without ever visiting another site. Below are few photos from my various Pinterest boards. The only thing that would have made it easier, would have been to book right there from the site. I couldn’t WAIT to show my fiancé everything for our wedding. Literally. So excited. The only minor detail – we hadn’t even talked about where we wanted to get married or any of the details yet. In fact, the one thing we had talked about right after we got engaged, was to not even really PLAN for at quite a while, just to enjoy the engagement. He, of course, just laughed and told me yay or nay on some of my ideas – god love him. So it made me think – ‘I wonder how many other brides have used Pinterest to literally plan every last detail of their wedding’. Turns out… there are a lot. Here are just a few articles I found. 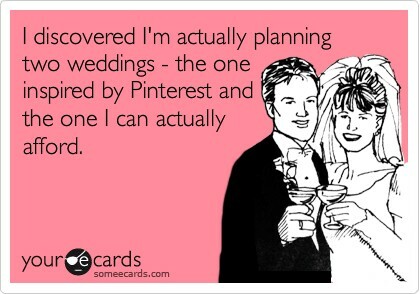 I especially love the one about the groom who planned a surprise wedding for the bride based off her Pinterest account. See – even men are getting in on the Pinterest Wedding action!? Now, after being engaged for over a year, I’ve come to look at Pinterest as my inspirational venue. I have several boards for all things wedding, including a Beach Inspiration, a Vegas-themed Inspiration, Wedding Style, and Wedding Photos. But I’m looking at it as strictly that, inspiration. A few of my Pinterest boards. Pinterest is certainly a great tool to organize your thoughts and see what interests you. What I have found super helpful, are all the infographics and various tips/tricks that are posted. Definitely will be a lifesaver when we actually start planning! *For the record, the 2 hours a day may be an exaggeration. It was sometimes like 30 minutes… and sometimes like 2 hours. But it definitely was not all wedding stuff.